As most people will know the Walsall Illuminations in the town centre’s Arboretum has been cancelled for good. On Thursday 3rd March 2011, Council leader Mike Bird announced that the illuminations in its original form will not be resurrected, though he did say that there will be illuminated displays within the arboretum, but not as we had known them. The arboretum is undergoing a £7.9 million revamp this includes refurbishment of the old bandstand to its former 1920’s glory and mostly derelict boathouse which is a grade II listed building aswell as extensive path improvements. There is also going to be a visitors centre including a cafe with indoor and outdoor seating. There are also other improvements including the children’s play area to incorporate a skate park, hatherton lake will be improved for use for water-sports which the boathouse will be used as the base for these activities. The tennis courts will be refurbished aswell as other improvements to entrances with new seating and some replanting and tree management. To see full details of the refurbishment work goto the official council website detailing the improvements click HERE. The Walsall Lights as we know them was last held in 2008, but was losing money at around £200,000 because of dwindling number. at this time the council put it on hold for 3 years then would decide the future of this yearly attraction. We kind of all knew that the illumination wouldn’t be back even at this time. 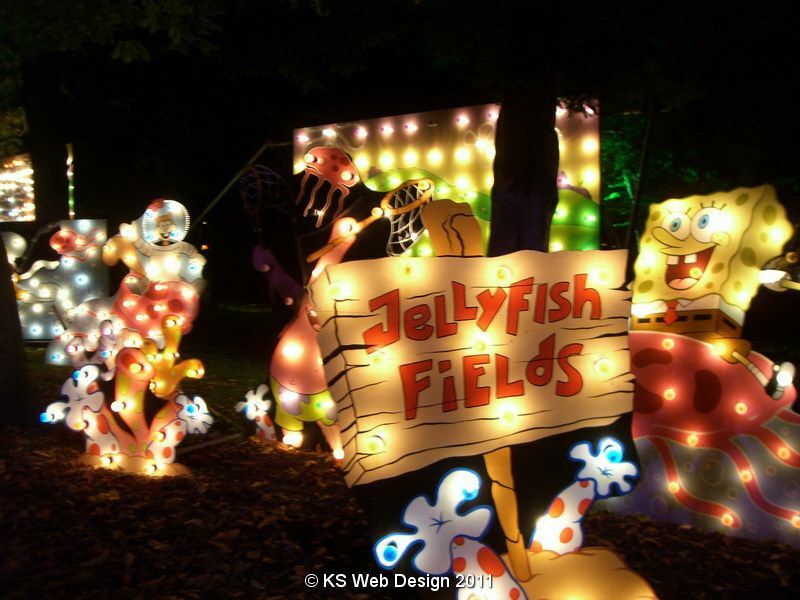 The Walsall illuminations started in1951. On Friday 4th March the council announced that the lights and display boards are to be sold to raise extra money for the council. The equipment will be made available to the likes of fates and town shows. I have been to the illuminations a fair few times in my life, loved them when I was a kid and when I had kids had taken them to the lights aswell, the last time i went was in 2007, i have to admit at that time the attraction didn’t seem as busy as a few years before when I went. I think the illuminations will be missed as the children did really enjoy it. the only complaint I had was year on year the displays were normally the same and that some of the displays were of old children’s TV shows that modern kids wouldn’t even recognize, so this is why when we used t go we went every few years and not every year. This could be why the numbers went down. I have found out some photo’s and video’s of the illuminations from 2002 and 2007, which are below, sorry for the quality of the video’s as the camera equipment i had then wasn’t perfect. Thought it would be a good idea to share these for prosperity. In December 2013 Walsall Council started to sell any remaining light board displays they had left on auction site like eBay see the council website for details HERE. They have over 200 boards that eventually will be sold, the first batch of 20 went up for a price of £50 each. These were around 5ft x 7ft. So largish displays. At the time of the first ones going on for sale I did think about getting some for my Christmas light displays as they were going on sale first to Walsall council tax payers, though because they use standard bulbs (some maybe rapaced with rope lights) and at least 10-20 at that for these smaller boards the electric cost would have been a bit high. If you want to see more about the Christmas lights I do on my house see HERE for details. Very sad that the lights have gone. I was checking this out to take my grandchildren. My own children loved them and so much less travelling then blackpool.